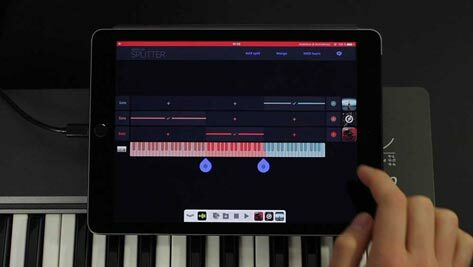 If you play your synth apps with an external keyboard, Midiflow Splitter is an essential tool for you. 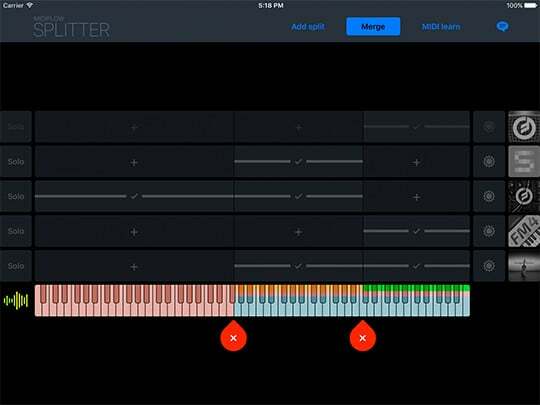 It lets you create split and layer configurations in an easy but powerful way. Thanks to Audiobus State Saving, everything can be saved and recalled when your show is about to start. Midiflow Splitter shows all synth apps as rows above the input keyboard. 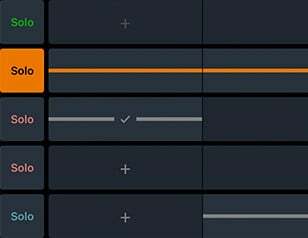 For each synth, you can select in which zone it should be active. The zones of the keyboard are defined by split points. 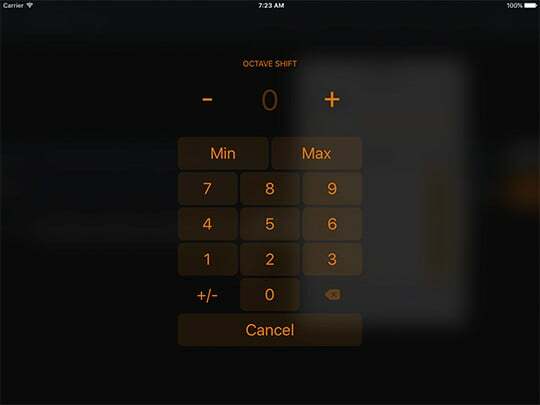 Move, add, or remove split points to adjust the zones. If you are using multiple keyboards, they will show up with independent split point selectors. An octave shift can be applied to each synth in your configuration. This is useful if you have assigned a sound to a zone on the lower part of the keyboard, but still want to trigger high notes. Just shift the notes by a couple of octaves, and you're done. 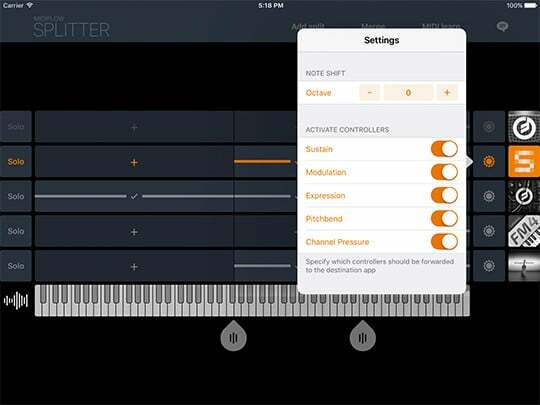 You can also activate or deactivate controllers like sustain or pitch bend for each synth app individually. That way, your controllers only affect the sounds you really want to manipulate, and keep the others unchanged. After you have set up your split and layer configuration, you might need to tweak a synth's sound again. By activating "solo", all other synth apps will be deactivated so that you have the whole keyboard for this one sound. This is very handy if you have arranged the sound in a layer and quickly want to mute the other sounds for a moment. 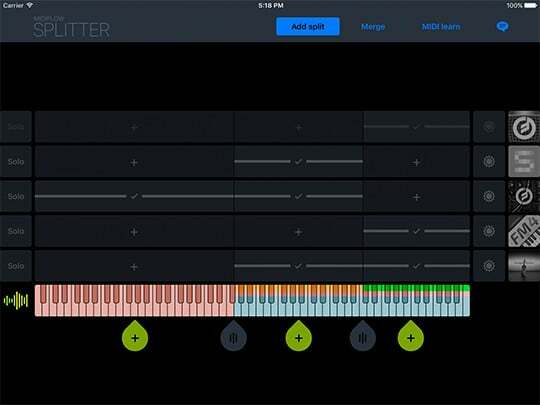 Learn how to split your keyboard into different zones in order to perform with multiple synth apps.